Santorini Car Rental offers a wide variety of travel services and activities. 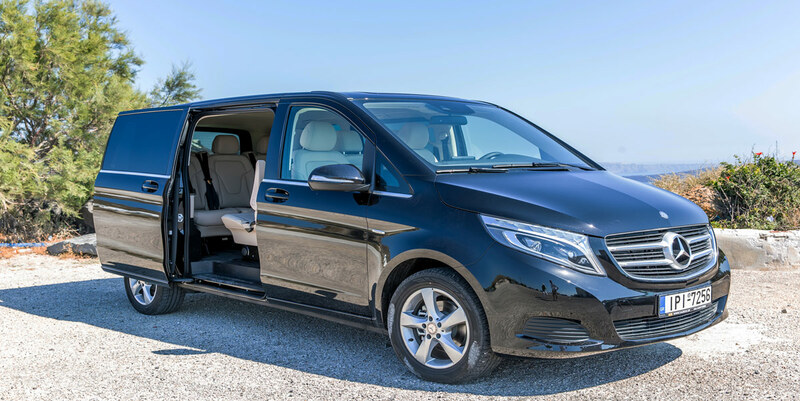 For tours, transfers and transportation we provide luxury cars, jeeps, mini-vans, coaches-buses and a crew of well trained, local drivers and guides. We organize private tours, in Santorini Island, for unforgettable holidays in Greece. We make your private tour! Let us help you design your tour the best possible way, our way! Take a look, see what we suggest and then send us an email with the places you like to see, while you in Santorini. The private tours that we offer is the standard sightseeing tours for Santorini, but if you like to go different way, we more than happy to do so. We have friendly and experienced English speaking drivers and tour guides in Santorini. Private tours, sightseeing and shore excursions have duration about 5 hours. For clients arriving on cruise ships the tour starts at 10:00 and end around 15:00. Place your requests at and we will be at your service to inform you about all the possibilities for your best santorini tour.